Hey gents. I've decided to post the build log of my Hackintosh here. 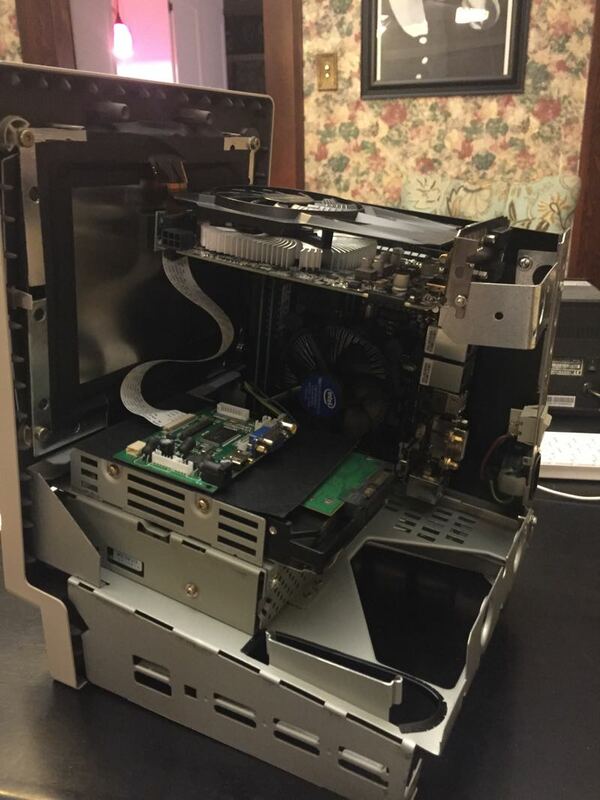 I built a hackintosh inside a Mac Classic case. Classic II to be exact. 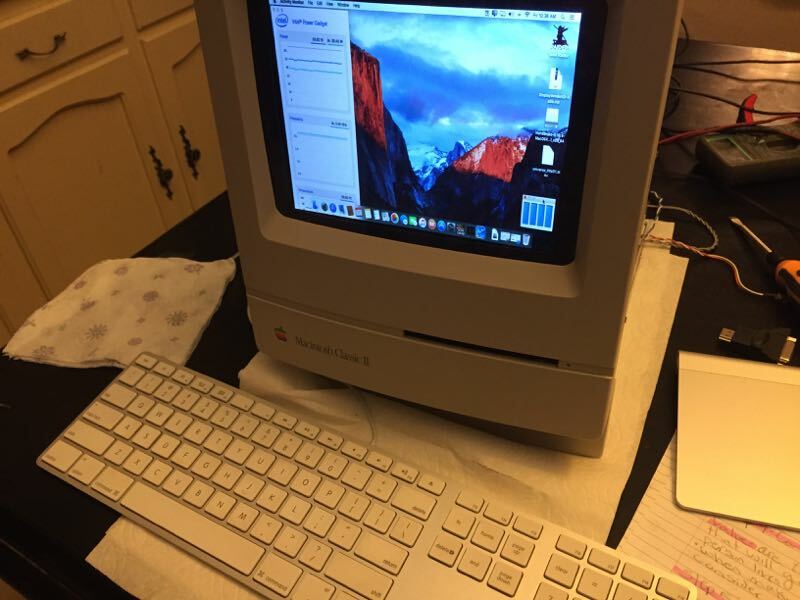 I bought on eBay a Macintosh Classic II for $20. It was advertised as non working, but I thought for sure I could repair it. When I got it, the battery had gotten to the motherboard, the A/B, and some of the frame. The A/B was also cracked below the speaker. I pulled out the CRT and desoldered the flyback for parts (not sure if they are working, but at least the glass looks fine). I'll find another non-working one to try and fix in the future. But for now I have a perfectly good case to use for my Hack, so lets put it to use. 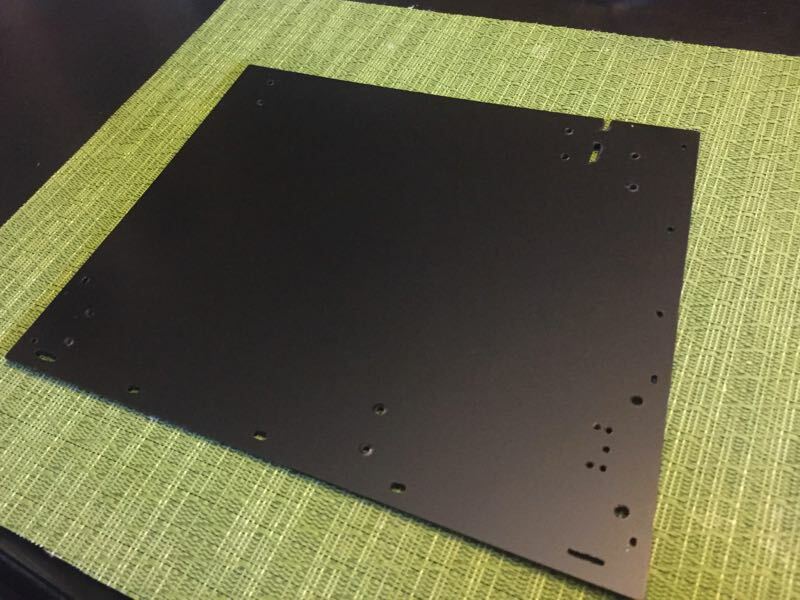 First off, I created a motherboard tray to fit where the A/B normally sits. I carefully measured the motherboard mounting holes, and test fitted where the graphics card would need support. I desoldered the old metal A/B frame and soldered it to this new motherboard tray. I am reusing the power switch and mains connector for a perfect fit. I'm using a miniITX motherboard with Skylake i5 and GTX 950. 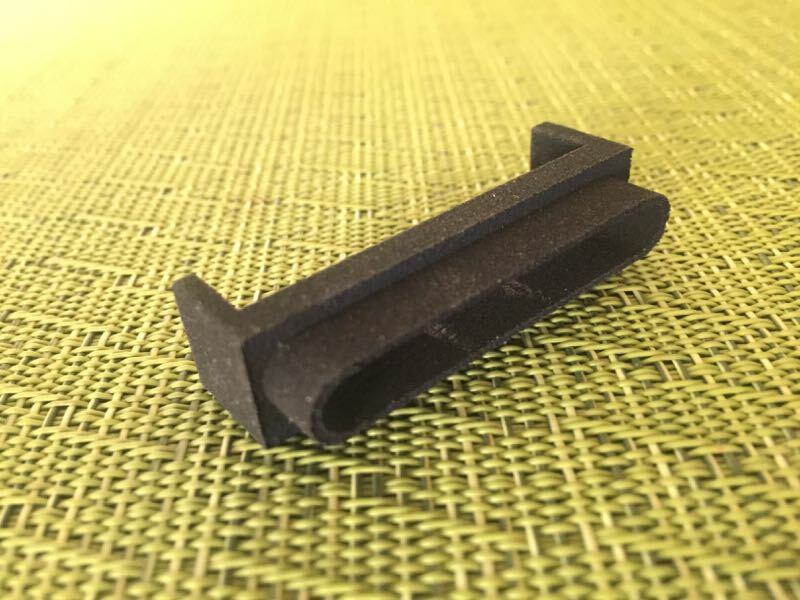 I also 3D printed some DB19 and DB25 sized brackets to house USB and HDMI ports. I'm using a ADB to USB adapter so I can use the original keyboard and mouse. I had to make a little metal bracket to attach to my interface board which sits where the old motherboard would be. Here's a picture of the USB ports in the 3D printed enclosure. I filled in the gaps with black hot glue. 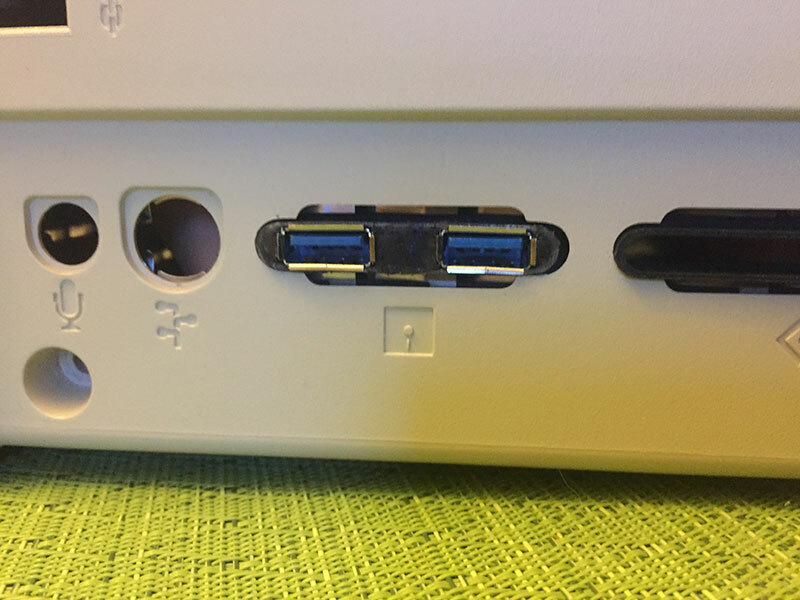 The SCSI port will house two more USB ports and the HDMI port for external monitor. 400Watt FLEX ATX power supply fits below the frame. I still need to make extension cables for the DB25 port which will have hdmi and usb. USB-C will go in the printer port, Ethernet in the modem port, and line in/out in the properly labeled ports. I'm also going to make USB, CompactFlash, and SD reader in the floppy slot. Nicely done on the custom brackets to fit into the legacy ports. Very nice work there! 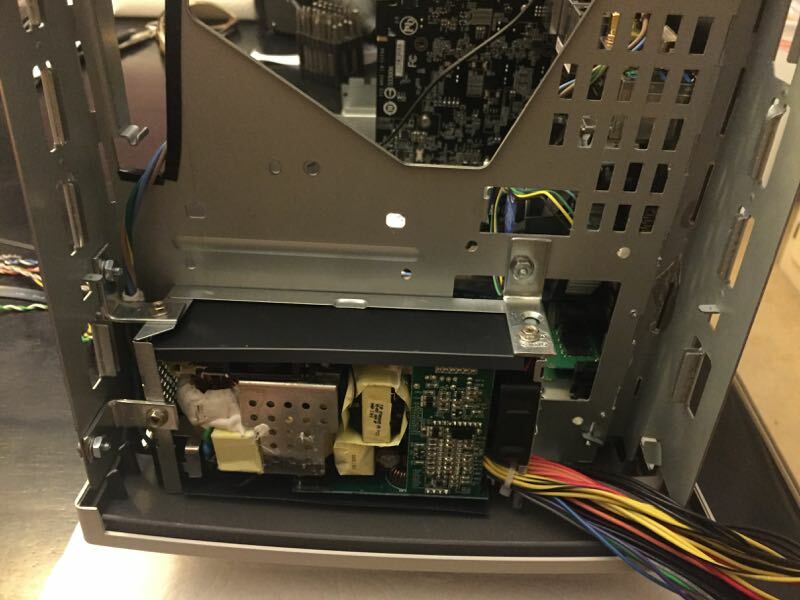 Always good to see when people make the effort to do a proper hack as opposed to just stuffing things in and closing the case. What resolution is the LCD? I like that video card support bracket; it looks like it fits right in there, perfectly. where did you get that usb>adb converter? Very nice! I like the metalwork for all the brackets and attachments. It looks very clean. I was going to make my own using plans from geekhack, but ended up just using an Griffin iMate for now. I still plan on building one from scratch later. 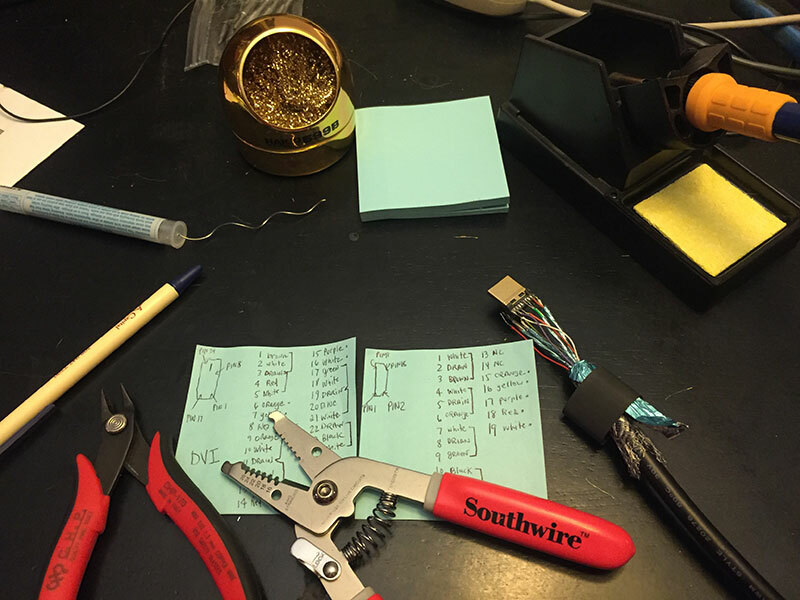 Right now I'm building an HDMI cable. 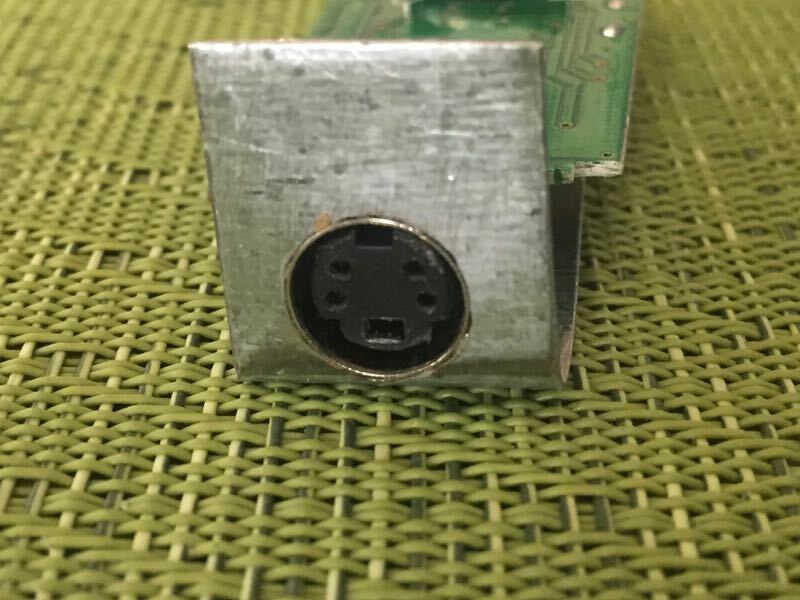 I had to use a 90deg angled DVI connector on the video card for it to fit, and the shortest one I could find was 6'. Too much wire coiled up in the case makes a dirty, filthy excuse of a... uh... anyway, so I hacked off 4' of it, and building my own DVI to HDMI cable for the internal display. This also lets me loose the DVI to HDMI adapter I was using previously. Are we having fun yet? FYI, I've had good luck with switchresx for setting custom resolutions. You might need to temporarily disable SIP to get it to work because it needs to install plists in a protected directory.